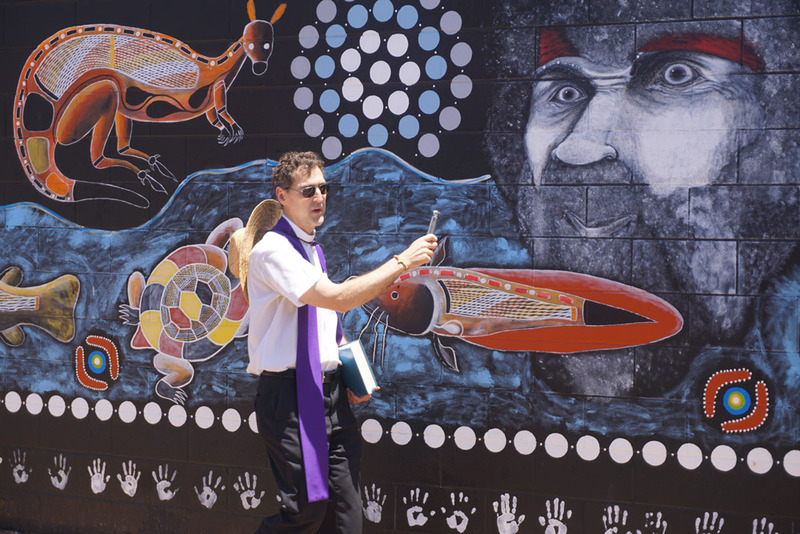 Fr Emil Milat blessing the new Aboriginal mural at St Francis Xavier School at Lake Cargelligo. Photo supplied. Year 5 / 6 students from St Francis Xavier School were lucky enough to participate recently in designing and painting an Aboriginal mural. This project is a result of an Arts Out West grant which supported local artists Lindsay Kirby, Tanya Harris and Georgina Kelly under the coordination of Sandon Gibbs-O’Neill, an Aboriginal artist and Community Engagement worker at Lake Cargelligo TAFE. The students attended a Mural skills workshop at TAFE where, along with secondary students, they learned painting techniques and contributed their design elements and ideas for the mural. The adult artists then combined all the students’ ideas and came up with the design. The Aboriginal mural was blessed by Fr Paul (Anglican priest) and Fr Emil. The blessing ceremony commenced with Josie Thorpe sharing a welcome to country with all present, then Fr Paul and Fr Emil shared some special prayers, asking that the mural be a symbol of Reconciliation and a continued way forward for our community working together. All that were involved and the mural were then blessed, before Sandon Gibbs-O’Neill, the project coordinator concluded the ceremony by thanking all that were involved and congratulated them on their work, the extra efforts put into completing the mural and the co-operative nature of the work with elders and the students from Lake Central School and St Francis Xavier School. This project was a result of a successful grant organised by LLCS through the funding body- Arts Out West (CASP- Country Arts Support program) grant. 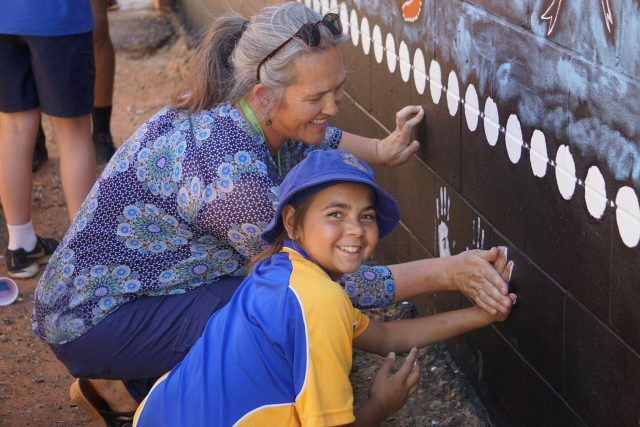 “We would like to thank all those involved in the project that enabled our students to work with so many talented artists to create a mural that will be a focal point in our community forever,” stated Mrs Jacinta Elwin. What a beautiful and inspiring mural! 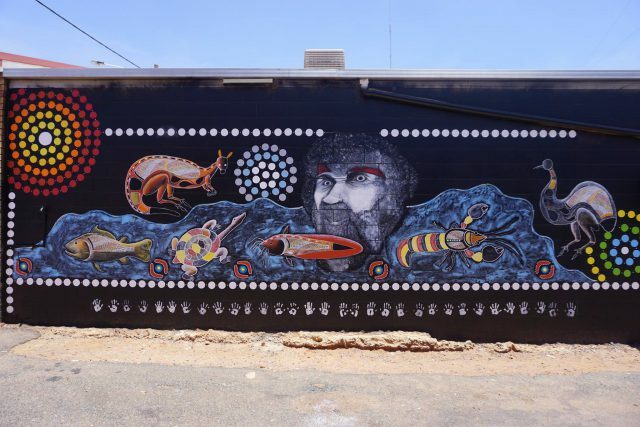 We begin this e-mail by paying our respect to the local Indigenous people – the Wiradjuri, who are the traditional custodians of this land where we bless the mural. A great work of art. It will stand the test of time.